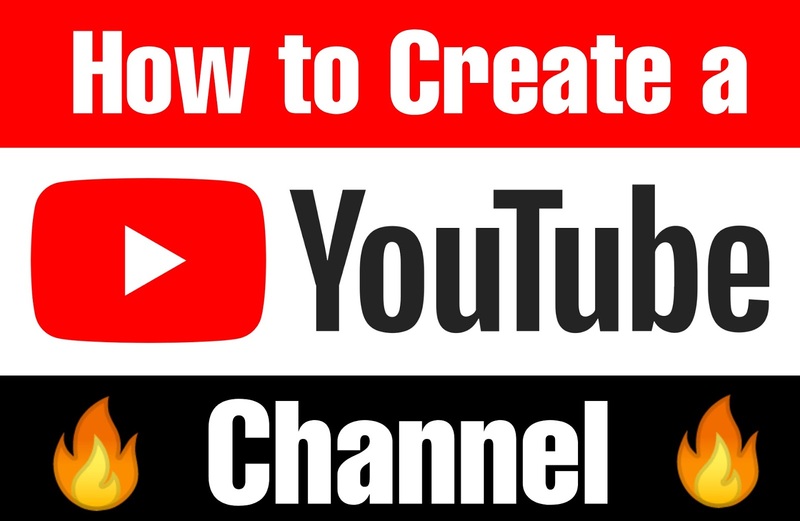 How to create a YouTube Channel : In this world of Technology, Everyone wants to have a YouTube channel. Because everyone wants to earn online these days. Most people wants to earn at home that's why they choose YouTube as a career. YouTube is very good source of earning but it is not easy to earn by YouTube. Many people don't know How to create a YouTube channel. If you are one from them, then you are at the right place. In this Article, I will tell you How to create a YouTube channel in 2018. First of all Let's know What is YouTube ? YouTube is a online video sharing platform where you can share your information via video to the world. YouTube is also a source of income, You can easily earn from it if your content is good and if you are creating something unique. The best thing is that YouTube is a FREE platform, It does not require money to watch videos. Everyone can watch video on YouTube very easily and every kind of content is present on it. There is solution of almost everything on YouTube. You can also create your own content for FREE. You can link an Adsense to your YouTube channel and your videos will start making money. You will not have to pay for anything. That's why most people wants to become a YouTuber and Now a Days, Mostly people remain active on YouTube. It has very big amount of Audience. You can also gain Fame from YouTube. These are the reasons why mostly people wants to become a YouTuber rather than doing a job or something. After that click on you Profile icon on Top Right corner. By clicking on it, you will see a Creator studio option, just click on it. After clicking on it, it will ask you to create a channel, it will not ask to create a channel if you have commented on anyone's YouTube video because for commenting on YouTube, You need to create a channel. When you commments on anyone's video, your channel get created at that time but it doesn't get fully created. Some steps are yet required to create a YouTube channel completely. So, after creating a channel you need to verify it by your Phone No. To do it, You need to click on Channel option in the left bar. After clicking on it, you will see your channel logo and Name on the Top, and Under your channel name you will see a verify option, Just click on it, Then Enter you Phone No. and a Text message will be sent to your no., just enter the code sent via message in the verification code area. After entering the code your channel will be verified and you will see a Partner verified written under your Channel Name. After doing that you will need an Adsense account to generate income from YouTube video. To do that Click on the monetization option on the same page. After clicking on that you will have to create an Adsense Account. Just follow the guided step and you will be able to create an Adsense Account very easily. Now according to YouTube's policy if your channel will reach the requirement set by YouTube, your channel will be monetized and your channel will start making money. Now you are all done and your channel is now fully created. Now you only need to upload your content. Tip : Always try to make something Unique in your content, if you are not able to create something Unique then create anything in your own style. I hope that you can now create your channel after reading this Article. Please share your Questions or Suggestions regarding this post via comment, I will definitely give you the Answer.